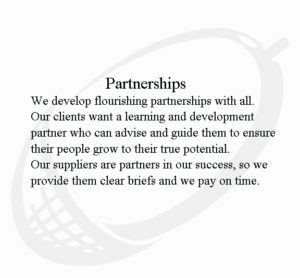 Almost every day, in every aspect of business; selling, buying or dealing with contractors, we can give and take to agree a deal. The skilled negotiator always achieves much more without upstaging the other party. Everyone, whether new to negotiating or a seasoned veteran, must attend this course. The negotiation skills you gain benefit you for a lifetime. Anyone whose role requires them to negotiate with customers, suppliers and others. We can tailor the course to any industry, sector or need. Examples of tailoring are:This negotiation training workshop uses video cameos showing typical negotiating situations to highlight good and bad tactics. It is a highly participative course, based around the needs of each individual attending.